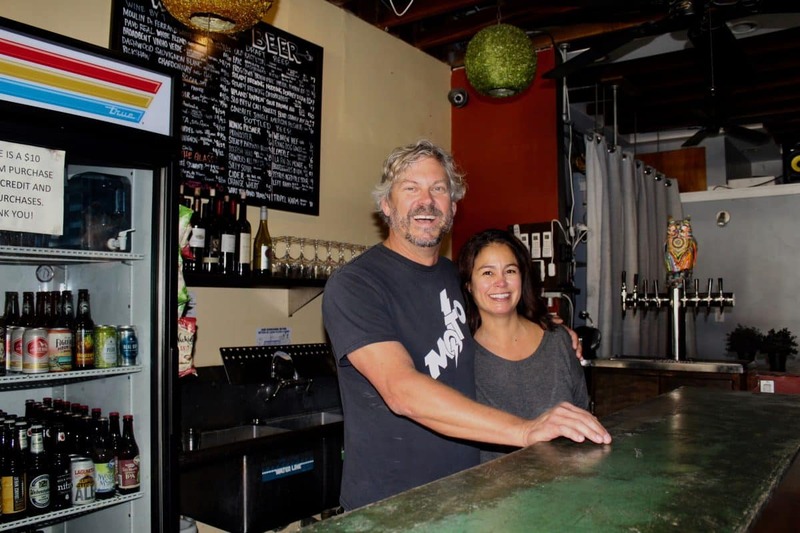 The day that 4th Street Vine opened its doors for the first time, owners Jim Ritson and Sophia Sandoval sat by the boombox in their new retail wine shop and listened attentively. The recession was in full swing and Barack Obama, as they heard on the radio that evening, had just been elected as the 44th president of the United States. Sandoval was also six months pregnant. Today, 4th Street Vine, which sits tucked in the heart of Retro Row between a boutique clothing store and a thrift shop, shows no hints of its history as a retail wine boutique. Tall stools and tables have long replaced the rows of wine bottle shelves. Instead of the old tasting room’s black leather couch, a bar. Then, there’s the live music. Most nights, the storefront’s wide double-glass panes offer a glimpse into the beating heart of the Long Beach music scene. In 10 years’ time, the cozy brick-walled space has reinvented itself into one of Long Beach’s most beloved, community-backed venues and hangout spots. 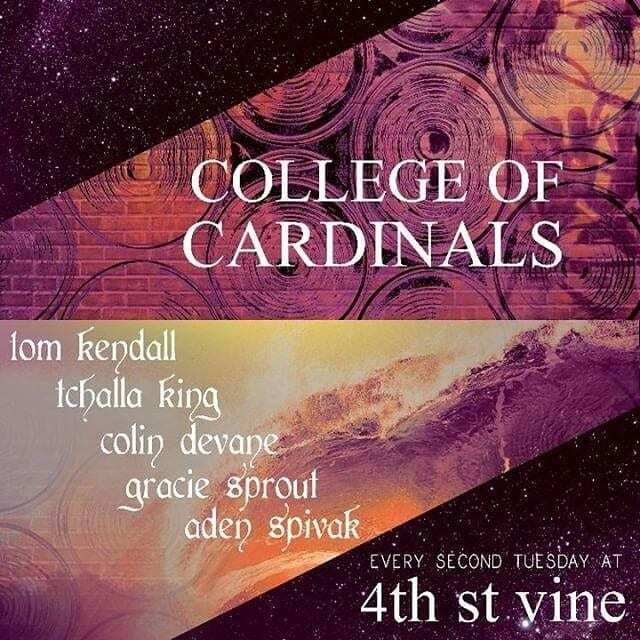 Almost every evening, 4th Street Vine hosts live performances from local and touring musicians spanning across styles and genres and, on certain evenings, DJ residencies such as Not Quite Disco (dance), We Are Science (‘80s-inspired) and Bad Reputations (garage/punk-centric) take over the bar. For the owners, the ever-changing roster of popups on the back patio are just an extension of the creative community that thrives at 4th Street Vine. “Ground level” is a fitting term to describe the community that has evolved at the bar over the years. In the early 2000s, Ritson, a Long Beach native, founded and operated a DIY punk label called Rehab Records with a close friend based in Seattle. The two of them signed some of their favorite independent bands from all over the country, including Portland pop punk band Mean Jeans, Wax Museum from Texas, the Trashies from Seattle and Chicago’s punk rock outfit Moto. True to his punk roots, there appears to be nothing that deters Ritson, other than abiding strictly by the live music cutoff time—10 p.m. on weekdays, 11 p.m. on weekends—in accordance with their entertainment license. Thrashy punk and noise bands frequently blast the room as well as hip hop and electronic acts. One time, recalls Gonzales, LA’s electronic duo Fartbarf was performing so loud in the crowded bar that wine bottles began falling off the shelves. Ritson barely flinched, Gonzales says. Ritson and Sandoval also keep the bar accessible by never charging a cover fee at the door. 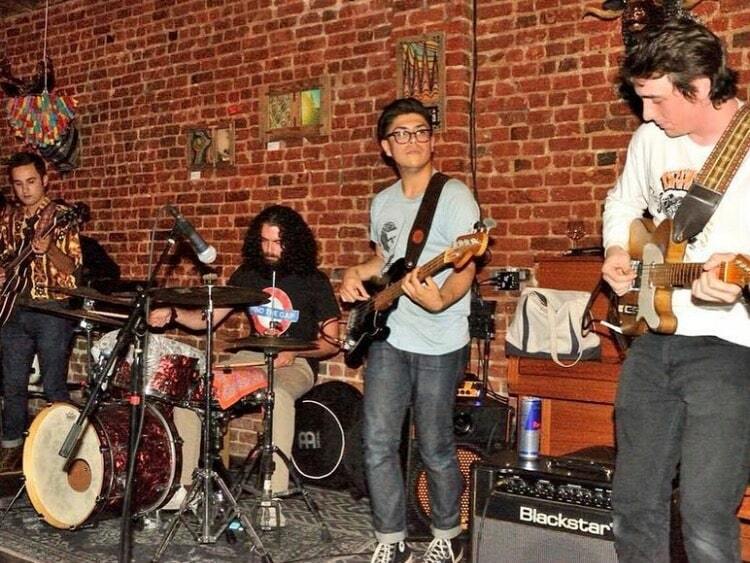 It began as them not wanting to turn away their regular customers or those who have just enough change for a drink, but it’s parlayed 4th Street Vine into a breeding ground for experimental collaborations, open jams and local bands that are just starting out. And they make sure to pay the bands out of their own till, albeit more modestly than other venues that charge a cover. The first few times local musician Rachel Rufrano performed at 4th Street Vine, it was just her and her guitar, completely unplugged. In the early days of 4th Street Vine, music was delivered via the jukebox or live acoustic sets, featuring up to two musicians per the city ordinance. Thor Jensen, a one-man band man, performed frequently during those days. Wanting to host a more eclectic variety of acts, Ritson and Sandoval applied for the city’s Occasional Event Permit program (OEP), which allowed full, amplified bands once every 10 days, for up to 24 times a year. This allowed them to host the likes of Crystal Antlers and the Clancy Cramer Jazz Project during this time. Their full entertainment license came months later, after rallying for backing from the Long Beach Music Council, residential neighbors on 4th Street and other businesses on the street. Perhaps most importantly, the local music community rose to the occasion to show their support; many of them wrote letters to the city council, whose vote ultimately determined the decision. Since getting the entertainment permit several years ago, 4th Street Vine has poured the love right back into the community by offering its stage for locals to perform or curate almost every night of the week, as well as providing free shows featuring more established acts such as Mike Watt and the Secondmen, Gangsta Boo of Three 6 Mafia and Joyce Manor. It’s also become a home away from home for many San Pedro and Oakland bands. Noise complaints from neighbors have dissipated immensely from their ongoing project of sound containment at the bar, Ritson says. They’ve installed double pane glass at the entrance, awnings in the balcony, air conditioning as well as a sound person to make sure bands end on time and are not excruciatingly loud. Work practices such as keeping the doors closed and shutting down the patio at a certain time are also helpful. Michelle Trivisonno was a regular at 4th Street Vine long before she became DJ Judy Christ. When she began collecting records avidly three years ago, Gonzales offered her a night to test out the waters. From there, she went on to start Girlschool LBC, an all-female vinyl DJ collective, and currently hosts a DJ residency every first Thursday, also known as Judy’s Jukebox. That low-pressure, laid-back energy of the bar is why Brittney Carranza and Leticia Gomez of Las Chicas Tristes often champion local bedroom musicians and producers at their third Tuesday residency, Mind Machine, which they host and DJ. They also host College of Cardinals, a monthly hip hop-jazz improvisational jam that regularly includes seasoned musicians such as keyboardist Colin Devane of Fight Club, bassist T’Challa and percussionist Tom Kendall. And it doesn’t have to be just music. Long Beach native Dennis Robicheau’s first popup cooking gig was on the back patio at 4th Street Vine. In the summer of 2013, Shady Grove Foods was launched on that spot, and for several years, Robicheau experimented with recipes and tested out new ideas there. This past summer, he opened a brick-and-mortar cafe at Palos Verdes Art Center. Visual artists have a place, too. Every few months, the walls at 4th Street Vine display a rotating exhibit of local art. Currently on display is musician and artist Troy Murrah’s new series “Built Quilt,” masterpieces made of thousands of wood fragments assembled in traditional quilt patterns. 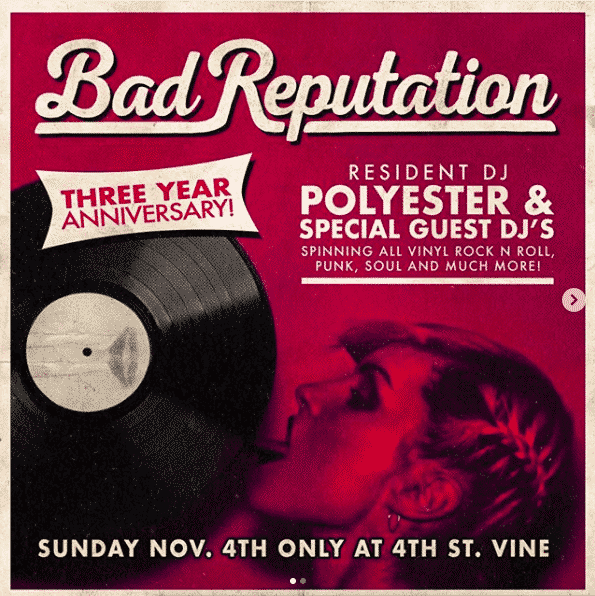 4th Street Vine’s 10-year anniversary celebration takes place Sunday 3 p.m. to close with Bad Reputation’s vinyl DJ residency, which will also be celebrating its three-year anniversary. For their upcoming schedule of shows, visit www.instagram.com/4thstreetvine or www.4thstreetvine.com.